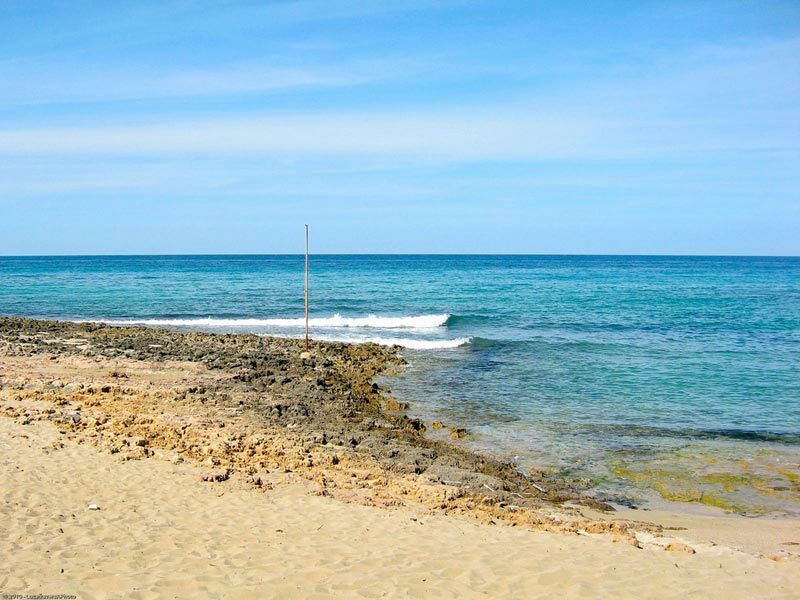 The coast of Ostuni, 20 km long, offers the wonderful coasts rich of dunes and vegetation and includes some of the most beautiful beaches of Puglia. Tourists looking for a high-level tourist destination will find everything that will meet their expectations. The unique sea of crystal makes this the perfect area for those who enjoy long baths and for diving enthusiasts. 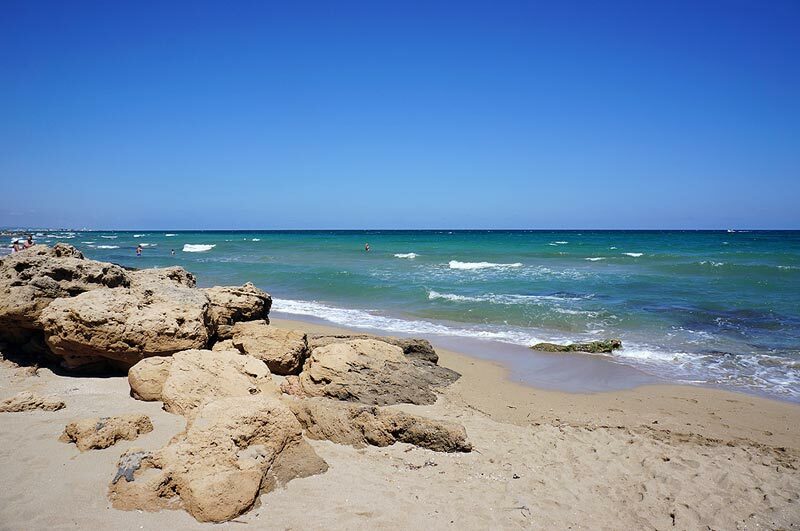 Ostuni is a popular seaside resort that offers some of the best Salento beaches and other natural formations, made even more features from the crystal-clear azure waters. 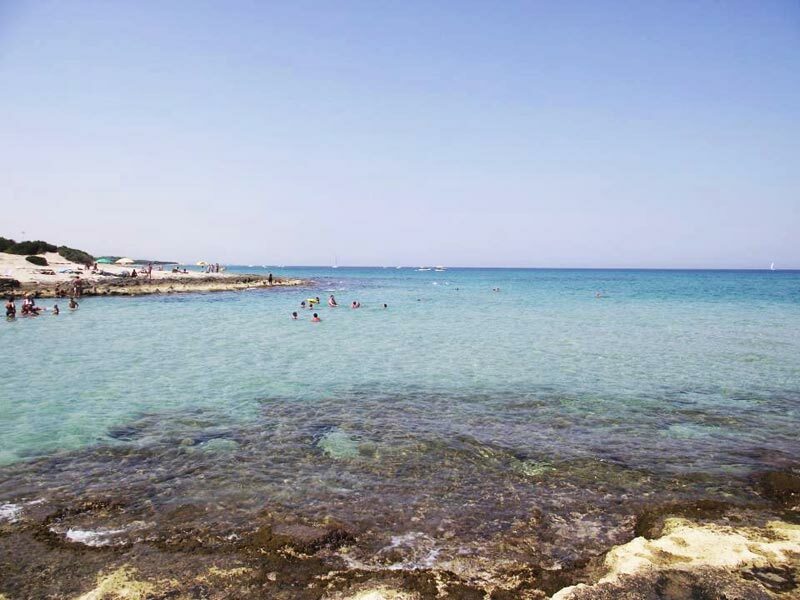 For several years this area has been recognized with the title of Blue Flag and the five sails of Legambiente, for the cleanliness of its beaches and the quality of the services available along its coast. 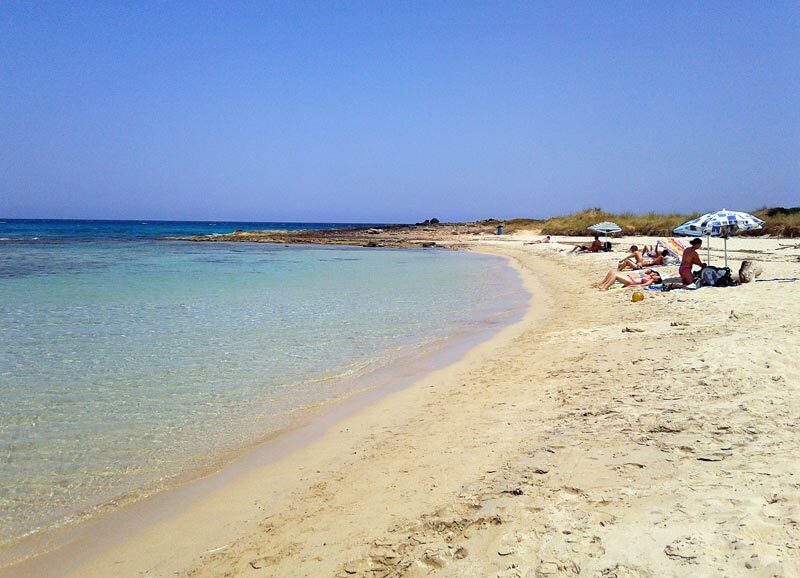 Located in the northern part of the coast, Lido Morelli is a long coastline surrounded by the Mediterranean scrub. This area, declared a Regional Natural Reserve and provides access to the natural beauty of the surroundings. The beach is characterized by soft, white sand stretching for two kilometers, made even more fantastic thanks to the formations of dunes have created an oasis surrounded by nature. Small, but beautiful, Cala Fourth of Monte is located a short distance from Villanova; to get there just go the way of Monticelli village. A beach populated mostly by local people, which, during the warm summer evenings, is alive with fabulous entertainment and dedicated to everyone. This area is characterized by numerous beaches full of vegetation. Ideal for people on the barren and untouched landscapes, Torre Pozzella owes its name to the presence of an ancient tower built between 1565 and 1569 in an area characterized by numerous rain water wells. Torre Guaceto is a Marine Protected Area and a nature reserve protected by the WWF, far from the usual tourist routes. The sand is very fine and spectacular sea, ideal for those seeking a quiet corner sheltered from the chaos. Fabulous creeks with fine sand that’s certainly worth admiring. Fantastic also the Rosa Marina, an area that is characterized by a succession of small sandy beaches between the Mediterranean. In the 60s here was this a popular holiday resort that retains its charm to this day. In Pilone you will find many outstanding location to admire the dunes covered with juniper trees and Mediterranean maquis dominated by the Aragonese Tower. According to your wishes, you can choose to evaluate the sandy beaches or those of hard rocks. Here you will also find long walks and a perfect clear blue sea diving. The Gorgognolo area is the ideal place for those who love the sea and wants to walk through the rocks, savoring the scent of wild rosemary. 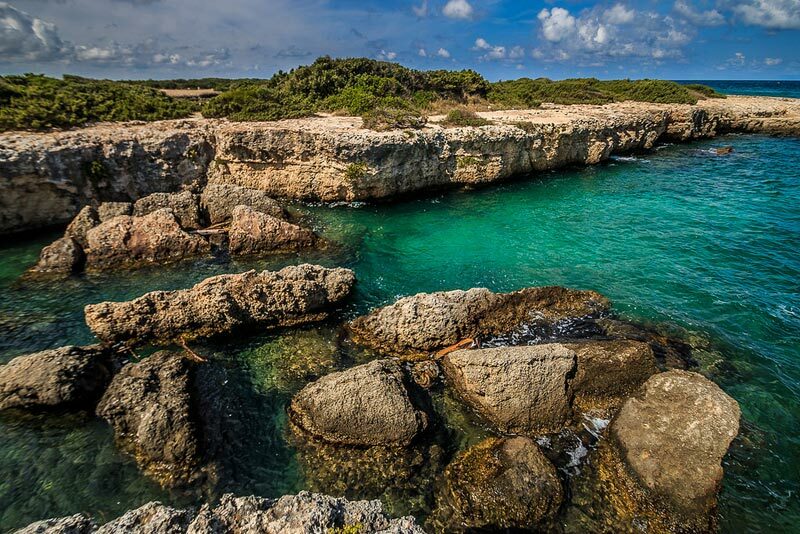 In this area there are numerous small coves characterized by a wild landscape. A free beach and for those who just want to enjoy pristine nature. Lido Bosco Verde is another rather famous area is characterized by a long beach hidden by high dunes covered by Mediterranean scrub. In this case, you will find a well-equipped and perfect place for kite enthusiasts. The coast of Ostuni, together with its countless beaches and pristine coves, allow you to experience an unforgettable vacation from every point of view. 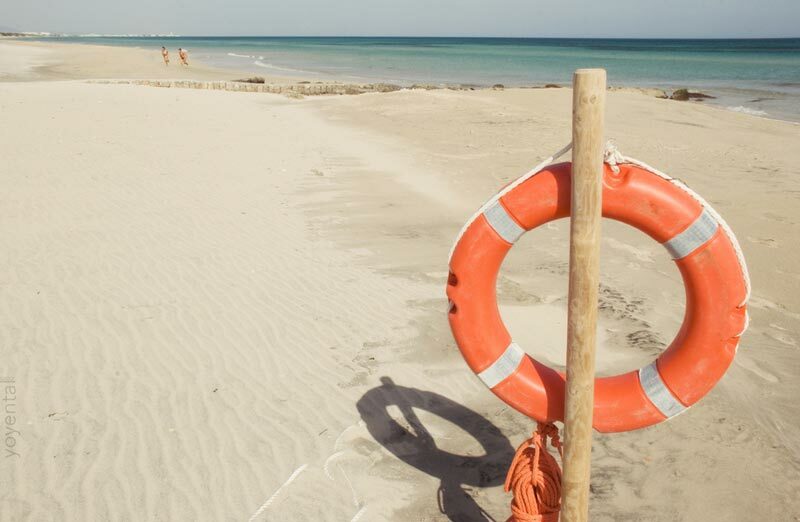 An advice we can give is to book well in advance because these beaches are always highly sought after in the summer months.